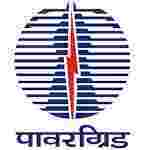 PGCIL recruitment 2017 notification has been released on official website www.powergridindia.com for the recruitment of total 80 (eighty) jobs out of which 37 (thirty seven) vacancies for Field Engineer, 43 (forty three) for Field Supervisor vacancies. Job seekers should apply from 06th December 2017 and before 26th December 2017. Educational Qualification: B.E/ B.Tech / B.Sc(Engg. )/AMIE in Electrical/Civil Discipline or equivalent from recognized university/Institute with minimum 55% marks for General and OBC (NCL) categories and pass marks for SC category for S.no-1. Diploma in Electrical Engineering from recognized Technical Board/Institute with minimum 55% marks for General and OBC (NCL) categories and pass marks for SC category for S.no – 2. Age Limit: The age of candidate should be between 29 years for General, 32 years for OBC (NCL) & 34 years for SC as on 26.12.2017. Fee charges: Applicants who wanted to participate for PGCIL should pay the below charges through Debit or Credit Card / Net Banking or Bank Challan. Interested and eligible aspirants should apply online through the www.powergridindia.com from 06.12.2017 to 26.12.2017.